Summer & Fall Condo Lodging Special 20% OFF! 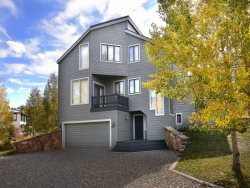 Valid on all Iron Horse Columbine Condos Details: Valid for new reservations. Must be a 7 night stay or longer. Reservation must take place before November 17th, 2019. Cannot be combined with any other offer, discount, or applied to an existing reservation. Valid only at time of booking. To claim this deal, e-mail or call us at 888-417-4766 and ask for the Condo Lodging Special!